Many industrial processes have had a damaging effect on land quality in the UK, and still account for the majority of existing contaminated sites. Chemical and oil spills, and decomposing waste in landfill sites can also be responsible for contamination of soil, groundwater, and nearby vegetation. 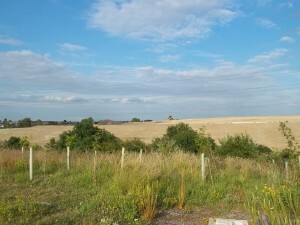 These factors present a significant risk to human health and the environment, and with increasing pressure to redevelop brownfield land to meet the UK’s housing demands, land quality continues to rise up the environmental agenda. Our land quality work is aimed at promoting integrated policies and practices that encourage the use and reuse of land in a way that protects human health and the environment.